Tobin-Stamped Kitchen Towels For Embroidery. Beautiful designs and top quality materials make Tobin one of the top needlework kit makers worldwide. 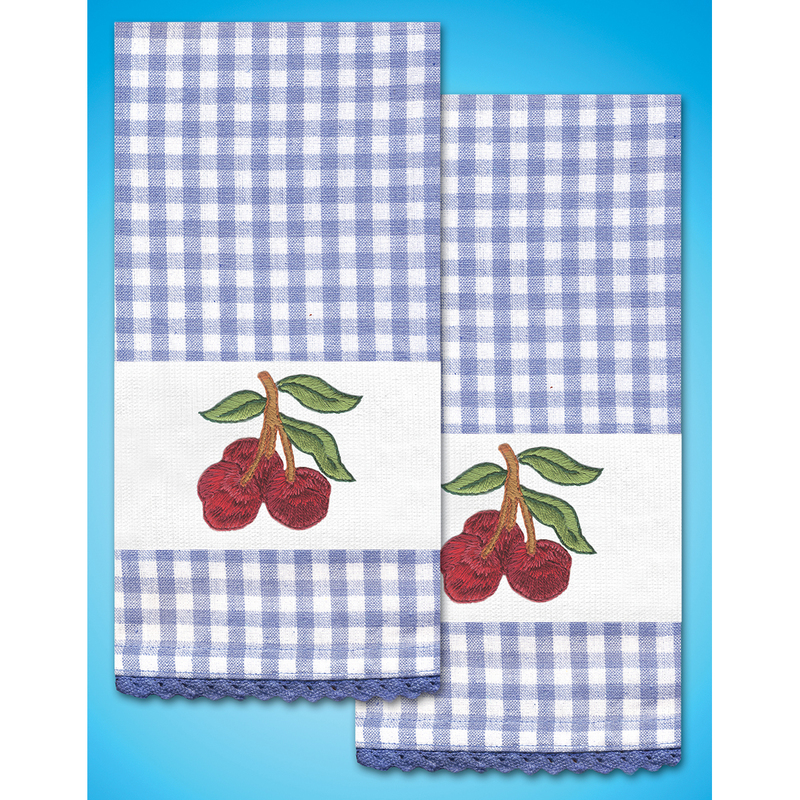 This package contains two 100% cotton towels with finished edges, braided trim for bottom edges and easy-to-follow instructions. Floss sold separately. Design: Cherry. Finished towels measure 28x18 inches. Made in USA.